Narrated 'Aisha: Once the Prophet(P.B.U.H) came while a woman was sitting with me. He said, "Who is she?" I replied, "She is so and so," and told him about her (excessive) praying. He said disapprovingly, "Do (good) deeds which is within your capacity (without being overtaxed) as Allah does not get tired (of giving rewards) but (surely) you will get tired and the best deed (act of Worship) in the sight of Allah is that which is done regularly." Allah Almighty want ease for us. Allah has made our religion so easy then why should we bother to be extremists. 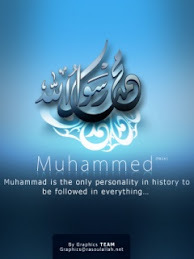 Narrated Abu Hurairah(R.A): The Prophet(P.B.U.H) said, "Religion is very easy and whoever overburdens himself in his religion will not be able to continue in that way. So you should not be extremists, but try to be near to perfection and receive the good tidings that you will be rewarded; and gain strength by worshipping in the mornings, the nights." (See Fath-al-Bari, Page 102, Vol 1). So, we come know that doing Hasanaat regularly is better than getting so exceeded beyond our capacity.